Welcome To the Official "The Chronicles of Bren" Website! Why write a story like The Chronicles of Bren: Captured? When I was a boy, I went through several years of personal torment – often teased and bullied by a small yet belligerent group of boys. I remember thinking that those guys seemed to take great joy in making my life as miserable as possible – that they lived just to torment me! Because of certain issues in my life at that time I did not know how to understand or even deal with, I longed for someone to simply rescue me…because I literally felt captured all the time. I had certain activities that made me feel safe in high school. My basketball team (I was the only white guy!) made me feel protected when I was with them. After basketball practice I would spend several hours playing the piano at home. For some reason I could simply hear something on the radio and then sit down and play it. There was great enjoyment for me there, getting lost in the music…and in that place, no one could touch me – at least for a little while. But then I had to go to sleep every night as a boy. In many ways, I dreaded those times because I felt so hopeless…but an amazing thing happened to me every night in my dreams for many years. From the time I was a young boy of perhaps ten until I was well into my twenties, I experienced the same dream each and every night…and those dreams gave me hope each and every morning when I woke up. Each night found me dreading the next day and having to face all the torment and shame once again…so as I fell to sleep that was on my mind. But as my dread gave way to dreams, my life took on a whole new realm of existence. In those dreams I lived on the starship Enterprise! My dad was none other than Captain James Tiberius Kirk. Each night for all those years I found myself captured by some alien band of creatures who seemed determined to put me to death. Just as I was about to be put to death each night, my dad – Captain Kirk – would materialize with his phaser set to destroy and not to stun – and he rescued me each and every time! For all those years I woke up feeling a sense of relief and rescue and somehow from that found the hope I needed to face another day! Why write a story like The Chronicles of Bren: Captured? Because I want to provide that same sense of hope to other young men and women who read my books. My joy would be to bring them hope and peace in addition to a plain old grand adventure! 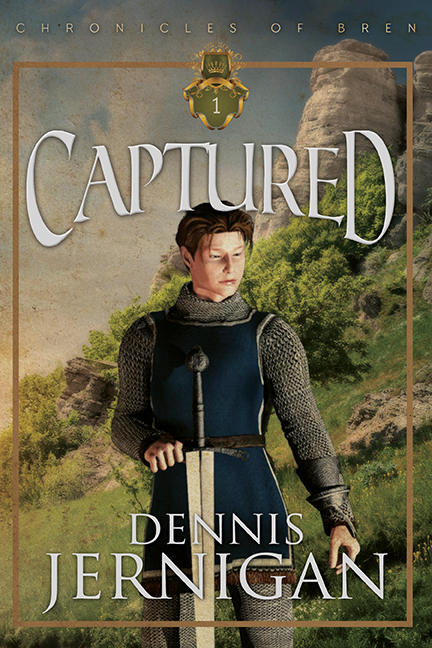 Below are the first three chapters of Book One: Captured. You can also purchase the book online at Amazon.com and Barnes & Noble.